Organization description: HEKYOM, a spin off of CENTRE NATIONAL DE LA RECHERCHE SCIENTIFIQUE (CNRS) and Paris 6 University, is specialized in engineering of thermo acoustic system devoted to energy conversion. HEKYOM is associated with the IPNO (Nuclear Physics Institute at Orsay, France) and has still relationship with the LIMSI-CNRS (Computer Sciences Laboratory for Mechanics and Engineering Sciences). HEKYOM has exclusive license rights for two patents and a simulation tool on thermo acoustic field. Between 2004 and 2006, HEKYOM has worked with CNRS, Paris 6 University, IPNO, department of ESSONNE, OSEO and has developed prototypes of thermo acoustic refrigerator and wave generator. 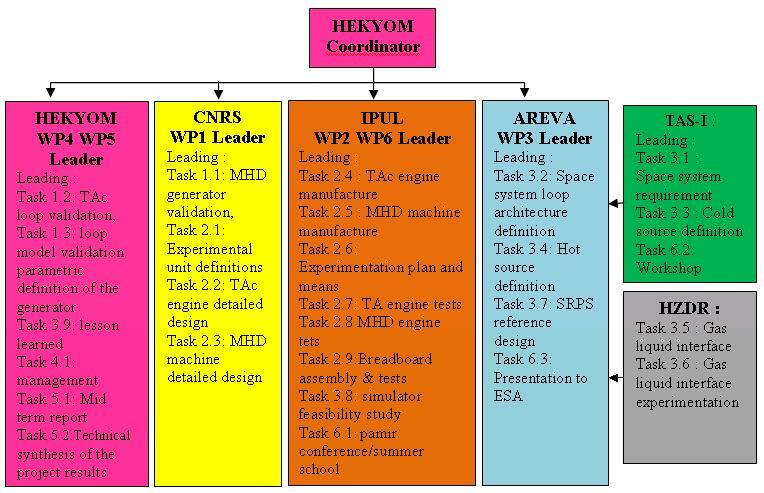 From 2006, HEKYOM has been partner of state-granted programs as European FP7 Energy program THATEA and ANR TACSOL, and has also worked for companies such as GDFSUEZ, EDF, IFP and some confidential other ones. 1- THE INSTITUT NÉEL, is a laboratory for fundamental research in condensed matter physics, enriched by interdisciplinary activities at the interfaces with chemistry, engineering and biology. The activity is organized into three strongly interacting scientific Departments, and comprising twenty research teams and eighteen technological groups. It explore a vast field of science: superconductivity, quantum fluids, new materials, crystallography, surface science, quantum nanoelectronics, nanomechanics, nonlinear and quantum optics, spintronics, magnetism… The Institut Néel has exceptional expertise in advanced technology. The Institut Néel is a laboratory linked primarily with CNRS (UPR2940) that provides the majority of its permanent staff, particularly with its divisions Institute of Physics, Institute of Chemistry and Institute for Engineering and Systems Sciences. It has also tight and long-standing links with the local universities Joseph Fourier and Grenoble-INP (Grenoble Institute of Technology). It benefits from the strong local links with the CEA and the large European neutron and X-Ray facilities: ILL and ESRF. 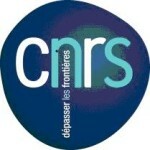 THE “SERVICE ETUDES ET REALISATION D’APPAREILLAGES SCIENTIFIQUES” (SERAS) IS A TECHNOLOGICAL FACILITY OF THE INSTITUT NEEL. The service is composed of a design office and a workshop. It is equipped with CATIA V5 CAD software, finite elements software, CNC machining and a Zeiss Coordinate Measuring Machine. It steps in national or European instrumentation projects. Within the scope of a quality approach, SERAS has implemented, a few years ago, a technical data management tool with a view to organize, to archive and to manage the digital models life cycle. It concerns all the technical and administrative documentation files of the service. For the Space TRIPS project, SERAS is involved in the second work package devoted to the loop experiment. SERAS will be in charge of the design of the thermo-acoustic loop and the MHD module. 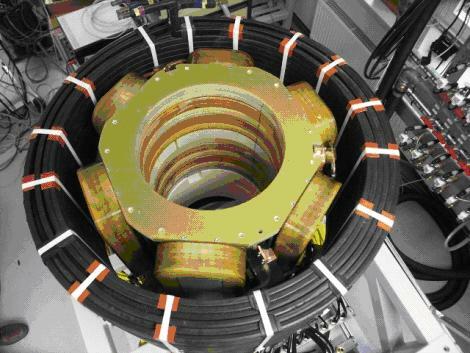 Section view of the MHD generator pre-design for Space-TRIPS project. 2 - G2E lab is involved with the numerical simulation of the MHD generator that will be coupled with the Thermo acoustic loop. This work will be the validation of the IPUL simulation. 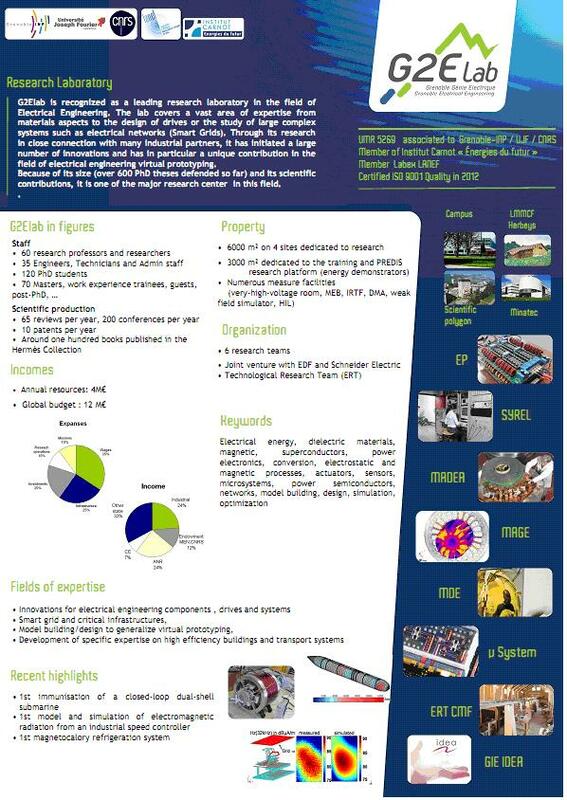 (90 employees) Institute of Physics of the University of Latvia (IPUL) is one of the world’s leading research institutes in fundamental and applied Magneto HydroDynamics (MHD). 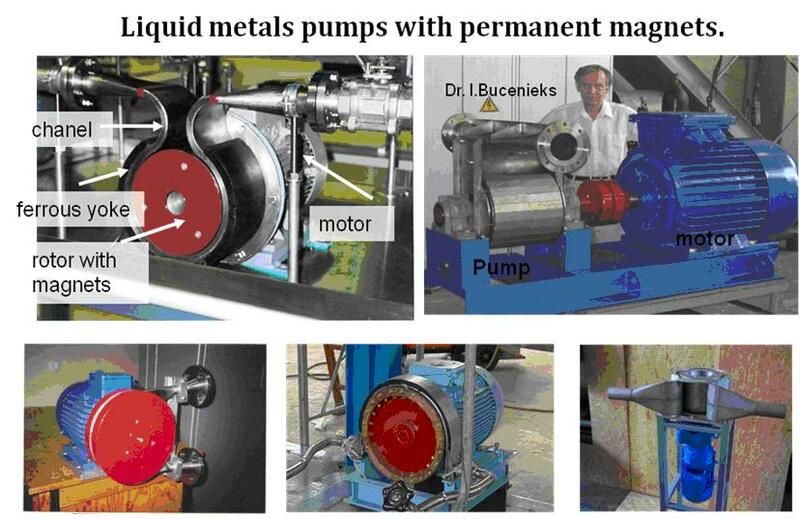 Activities of IPUL deals with various liquid metals such as Na, Li, Ga, Hg, Pb… IPUL is providing innovative electro-magnetic pumps and flow meters for various nuclear systems. The IPUL has the capability to be engaged in important project taking advantage of the 90 employees, researchers, engineers, technician and secretaries. It is then the most important structure working in MHD in Europe and may be in the world. IPUL Alkali metal laboratory operates several sodium loops: loop with minimized hydraulic resistance for high velocity experiments, a stand for precise calibration of Na flow-meters, multi loop stand. Role in the project Space TRIP IPUL will take part at design and manufacture tests means and perform the MHD and thermo acoustic generator tests. IPUL will participate to the model validation and experimental system definition, bringing its expertise in MHD, magnetism, permanent magnets, liquid metal and modeling. 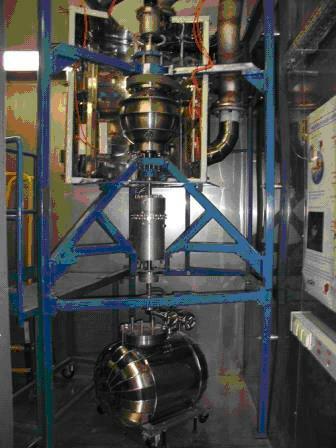 IPUL will participate also to design of the experimental device, checking the compatibility with the tests facilities. IPUL will design a pump necessary for the MHD generator tests, taking into account the more recent technological results (e.g. cables in high temperature). AREVA is a world leader in nuclear power and has a unique integrated model from uranium mining to reactor design and related services to used nuclear fuel recycling. 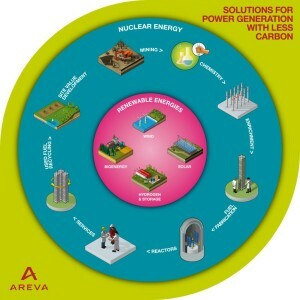 AREVA is also a major player in renewable energies. AREVA TA is a subsidiary of AREVA. It belongs to the Reactors & Services Business Group, as the Research and Propulsion Reactors Business Unit. TA is involved in the field of space power systems for more than ten years, as well for radio-isotopic technologies than space reactors. Role in the project The company has funded previous work relating to models. Here to TA’s team will focus on the space system design, with notably the support of TAS-I. AREVA is architect of the system, considering the experience of the team with thermoelectric system on one hand and its previous works on thermo acoustic-MHD with CNRS. 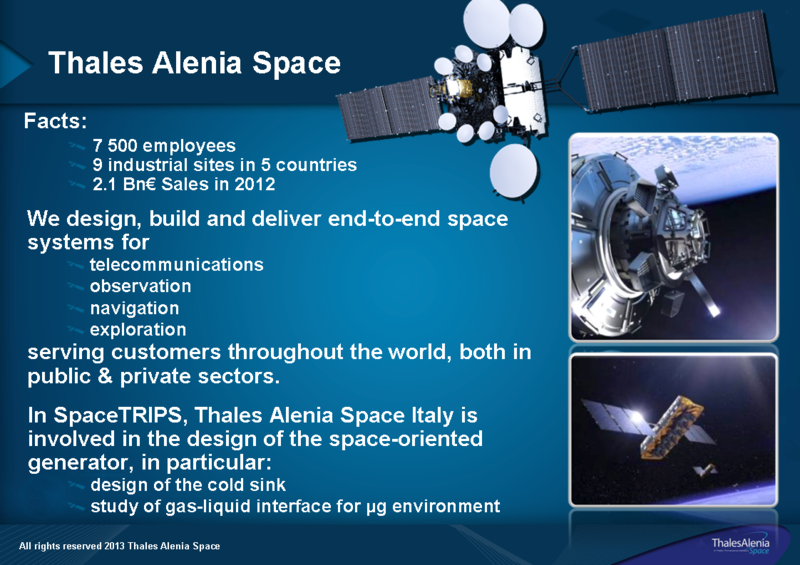 Moreover TA is in charge of the hot source design, which will be based on experience gained under ESA’s contracts. TA will also participate to experimental system design, as well as experimentation, in order to get a feed back for the space system design. 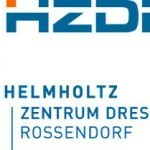 Helmholtz-Zentrum Dresden-Rossendorf (HZDR) is a non-profit scientific organisation and a member of the German “Helmholtz Association“. It is financed by the German Federal Republic and the Free State of Saxony (90:10). The staff consists of appr. 1000 employees, the annual budget amounts to about 90 Mio EURO. The research topics of HZDR, focusing on basic and application oriented research, cover essential problems of our time: Innovative Materials, Cancer, and Energy. 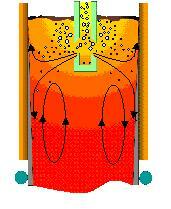 The Institute of Fluid Dynamics (IFD) is one of the eight institutes of HZDR. It performs research on basic and applied fluiddynamical problems, mainly in the two fields of magnetohydrodynamics (MHD) and multi-phase flows. 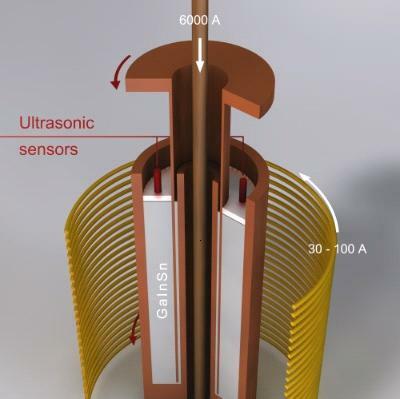 Particular capabilities exist on measuring techniques both for liquid metal and for two-phase flows. A main objective of the studies at IFD is to contribute to modern developments in new energy conversion systems, to increase energy efficiency of industrial processes, and to investigate safety related thermohydraulic aspects of nuclear or solar power stations. 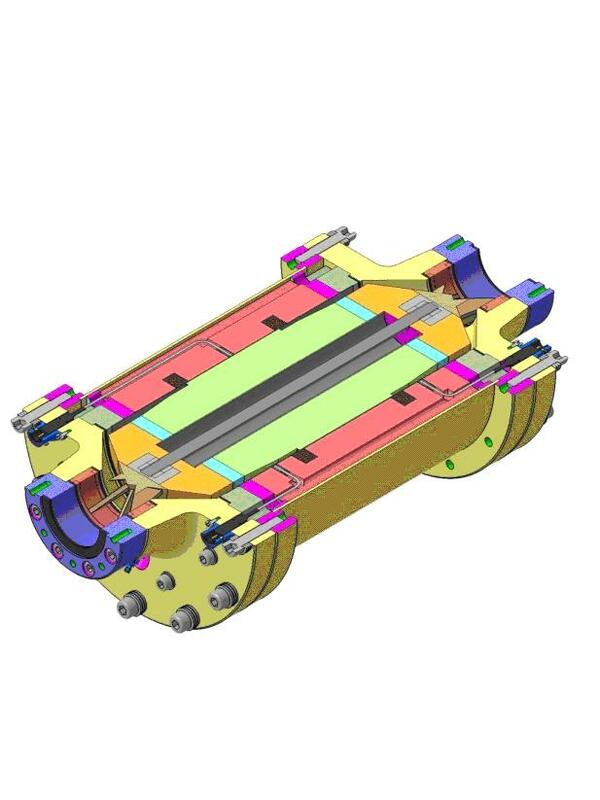 During 2013-2015 IFD will realize the project DRESDYN (A European platform for Dynamo-experiments and thermohydraulic studies with liquid metals), which is a large-scale infrastructure project at HZDR. The research works on MHD cover basic studies on geo- and astrophysical MHD problems, applied research on the application of magnetic fields in metal casting or semiconductor crystal growth, the development of liquid metal measurement techniques, investigations on the application of magnetic fields in electrochemical systems, as well as basic studies on MHD turbulence or magnetic field stirring. casting of steel modelled at HZDR at Continuous the LIMMCAST facility working with SnBi alloy. The MULTIMAG facility for the superposition of various AC and DC magnetic fields. The MRI experiment at HZDR for the demonstration of the Magneto-Rotational-Instability.